“Big Eyes” is now playing at Point, Eastgate, Star Cinema and Sundance. PG-13, 1:44, three stars out of four. “Big Eyes” is both the least Tim Burton-y film that Tim Burton has ever made and the most Tim Burton-y film he’s ever made. Least, in that the brightly-colored pastel palette of the film doesn’t contain a drop of darkness or CGI trickery. Most, in that it celebrates the life of an outsider artist without worrying about whether the art was actually any good or not. 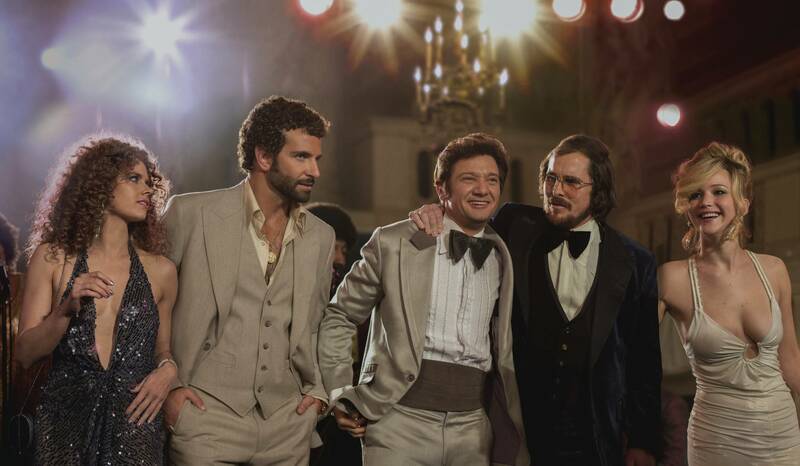 “American Hustle” opens Friday at Point, Eastgate, Star Cinema and Sundance. R, 2:17, three and a half stars out of four. “From the feet up” is a phrase that comes up again and again in “American Hustle.” It’s an expression con artists in the film use to signify full commitment to the role they’re playing. For his follow-up to last year’s “Silver Linings Playbook,” writer-director David O. Russell has assembled a cast that all perform from the feet up. The result is an entertainingly shaggy riff on the caper film that emphasizes loose, naturalistic performances and comedy over plot and thrills. If you’re looking for a clockwork-perfect crime plot, you won’t find it here. But if you want to hang with some wildly unpredictable and complex characters and wonder who will come up on top, “Hustle” is a lot of fun.